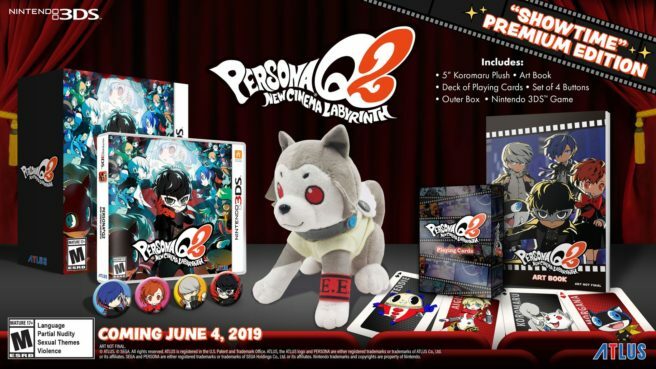 When Persona Q2 heads west this summer, Atlus will be offering a “Showtime” Premium Edition. However, you should keep in mind that there is now “very limited quantity remaining”. Atlus has said that this edition “will not be restocked” once it sells out. The Persona Q2 “Showtime” Premium Edition can be pre-ordered on Amazon here. It comes with the game, collector’s box, 5″ plush, art book, deck of playing cards, and a set of four buttons.